We have two meetings rooms that are available to be used by community groups, during normal library hours. These rooms may be used for civic, educational, philanthropic or recreational purposes that are open to all. 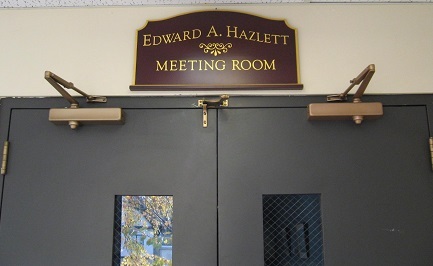 The Bergman room (30 people) is located upstairs, and the Hazlett Room (60 people) is on the 1st floor. We welcome the use of these rooms by outside groups, but the Library shall have priority in scheduling. You can request to reserve either meeting room space by calling us. At this time only the Bergman Room is wheelchair accessible. We are sorry for the inconvenience.